Metabolism Support is a diet pill manufactured by Ripped Femme. The company markets three other supplements and the entire range of products is designed especially for women. According to Ripped Femme, Metabolism Support is the first fat burner “truly formulated for a woman’s unique hormonal (endocrine) system”, but a number of manufacturers make similar claims for their products. In most cases fat burners for women contain standard diet pill ingredients that are found in any number of products that are used by men as well. Ripped Femme Metabolism Support is no exception. Despite the company’s best attempts to make the capsules sound more complicated than they are, they only contain one ingredient that offers particular value for women (Indole-3-Carbinol). It’s unlikely to support weight loss, but it may offer protection against estrogen-enhanced cancers. What is Ripped Femme Metabolism Support and How Does it Work? Ripped Femme Metabolism Support is designed to speed up the metabolism. A faster metabolism burns more calories. When there are no more (food provided) calories left to burn for energy the body will be forced to start using its stores of fat. Vitamin B12 (2mcg): Like most B Vitamins, Vitamin B12 helps ensure a healthy metabolism. It is also required for red blood cell formation and serves many other functions within the body. CH-19 Sweet Red Pepper Extract (200mg): Research conducted in Japan shows this sweet red pepper extract can encourage thermogenic fat burning in a similar way to chili peppers. Caffeine (175mg): Research shows caffeine’s reputation as a metabolism booster and thermogenic fat burner is not unfounded. Most suppliers state the inclusion rate is 175mg, but we found one label that states it is 200mg (the equivalent of 2 cups of coffee). Indole-3-carbinol (100mg): An increasing number of studies suggest indole-3-carbinol can prevent estrogen-enhanced cancers including breast and cervical cancer. L-Carnitine (100mg): A compound that helps the body reclaim the energy it previously stored as fat. L-Carnitine is credited with value in several other areas and is often used as a performance booster. Green tea extract (91mg): Green tea is one of the most highly valued diet pill ingredients in the world and its ability to boost the metabolism and encourage fat burning can be backed by science. Green tea also lowers cholesterol levels and offers numerous other health benefits. Olive leaf (15mg): Despite the fact that olive leaf is often touted to be a fat burner, it’s ability to function in this way can only be supported by one study and it was conducted on rats. A single study is not enough to prove it’s value and just because something appears to work for rats does not mean it will work for humans. Usage Instructions – One capsule is required three times per day (taken with food). A gap of three to four hours should be left between doses. Some women say the formulation works, others say it does not. Women who are planning to use Ripped Femme Metabolism Support for longer than 12 weeks are told to consult a healthcare practitioner first, but Ripped Femme fail to mention if side effects are likely to be an issue. However, the product is unlikely to be suitable for women who are pregnant or nursing a child. It is also usually advisable to seek a doctor’s advice, before using any form of supplement, if you have existing health problems or are using medication of any kind. Ripped Femme Metabolism Support is available from a number of popular Canadian suppliers, including GNC and FitShop.ca. Each bottle contains 60 capsules and generally retails for $50-$60 (depending on the chosen supplier). Ripped Femme Metabolism Support contains several good ingredients, so it seems likely the formulation will help improve weight loss results if it is used alongside diet and exercise, and we see no reason why the formulation wold not work equally well for men. 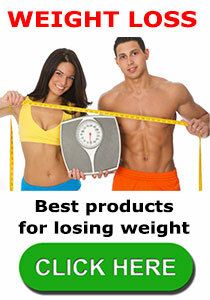 However, the formulation is only designed to speed up fat burning. It does not provide appetite suppression or any other benefits dieters may need. This may explain why the pills appear to have failed as many people as they have helped. Fat burning diet pills can be good for accelerating weight loss, but if people cannot control their tendencies to overeat the body will be provided with more calories than it is capable of burning and the excess will be stored as fat in the normal way. This is the reason why so many weight loss experts state it is preferable to use products that tackle weight loss from a number of different angles. As an author of literally hundreds of reviews of diet products I get slightly agitated when I read about products that are targeted for women (or men) only when the ingredient profile does not really reflect this. I prefer something universal and tried and tested – I recommend PhenQ. 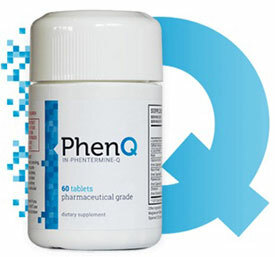 PhenQ is multi action – it can help to burn fat, block the introduction of new fat while suppressing appetite. It can also help provide and energy boost. This entry was posted in Muscle & Strength, Pre Workout and tagged Ripped Femme Canada, Ripped Femme Review by admin. Bookmark the permalink.